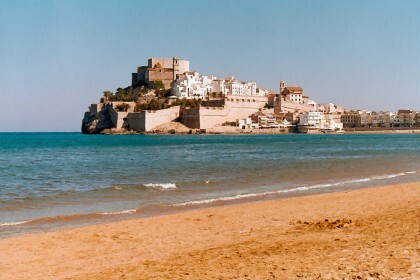 The Costa del Azahar is a relatively unknown coast region along the Mediterranean Sea. The coastal area is also called the ‘Gulf of Valencia’ and runs from 200 kilometers (124 miles) South of Barcelona to a bit North of Valencia. The Costa del Azahar, literally ‘orange-blossom’, got its name from the orange trees covering the whole area. The orange tree is an important element in the design of the well-known gardens, together with the mosaic and fountains. Along the Costa del Azahar you can still find the most beautiful sandy beaches and authentic Spanish villages and towns, due to the relatively unpopularity among tourists. Worthwhile cities are Valencia, Gandia, Xabia, Sagunt and Castellón de la Plana. Due to the crisis, a lot of houses at the Costa del Azahar are repossessed by banks. These villa’s and apartments are now in forced sale. This gives you the opportunity to buy your perfect home at the Spanish coast for a very profitable and affordable price. Here you find an overview of all bargains at the Costa del Azahar.